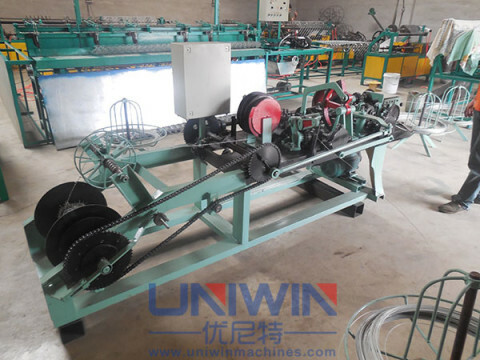 Chain link fence machine is used for making various chain link fence(diamond mesh). 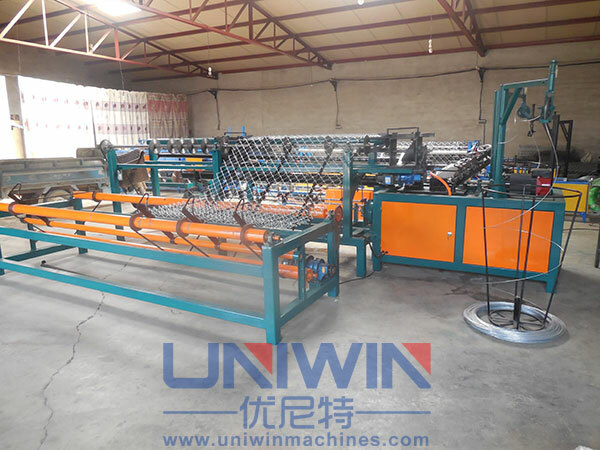 It consists of mesh wire forming, mesh weaving, cutting, mesh positioning, sewing and other device component. 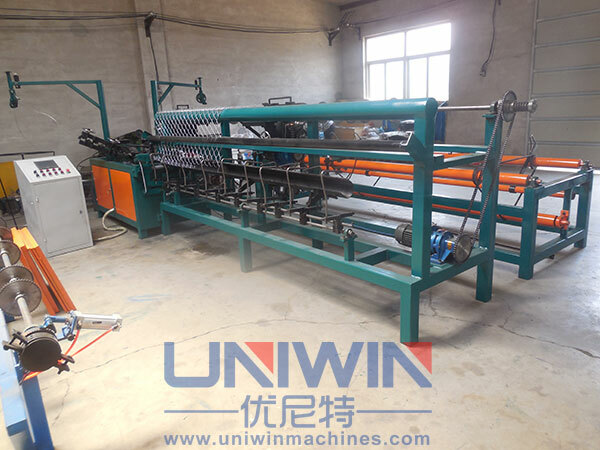 The suitable material are low-carbon steel wire, electro-galvanized wire, hot-galvanized wire, zinc-aluminum alloy wire, stainless steel wire, PVC coated wire, mild steel wires, etc. 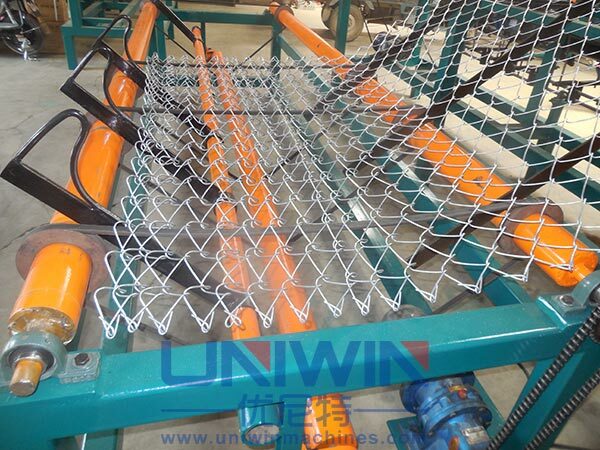 Weaving speed, chain link gap and chain link width is adjustable according to customer’s requirement. There is alarm device, when the production is finished, the alarm will ring. China link fence machine is suitable for small, medium and big enterprises. There is a controller, when the fence is twisted, it will stop automatically. Chain link fence is widely used for sports ground, residential area, Airport, railway, Power Plant projects, workshop, Training ground etc.